So, I did a crazy thing today. 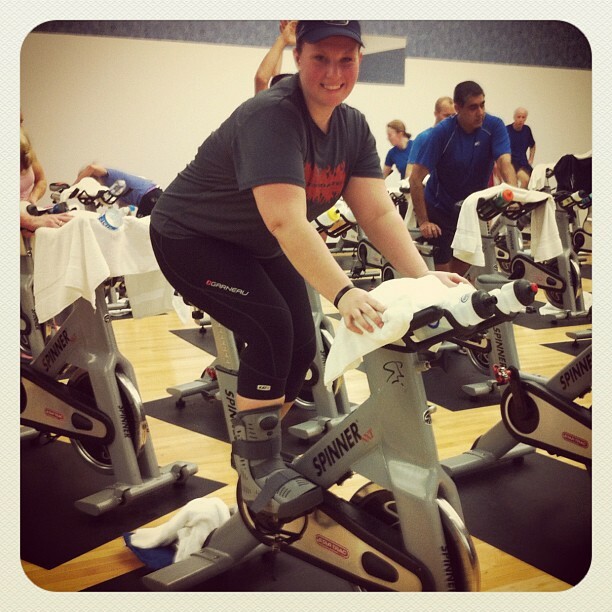 I went to spin class. Me, myself and my boot named Wilson. (Wilson like the volleyball in the Tom Hank’s movie, Castaway. Wilson because I need Wilson now, I might cry from pain when he leaves, but I’ll be okay in the long run). Oh, it felt wonderful being back on the bike. Yes, the bike to nowhere… but a bike, nonetheless. Coach Monster’s class, my spin class friends, and Wilson. Everyone was so nice to Wilson, too. Coach Monster called me Boots. I said, One boot, singular. I did some upper body before class. Stretched a little afterwards. But all in all, I was able to operate pretty much as efficiently as normal on the bike. 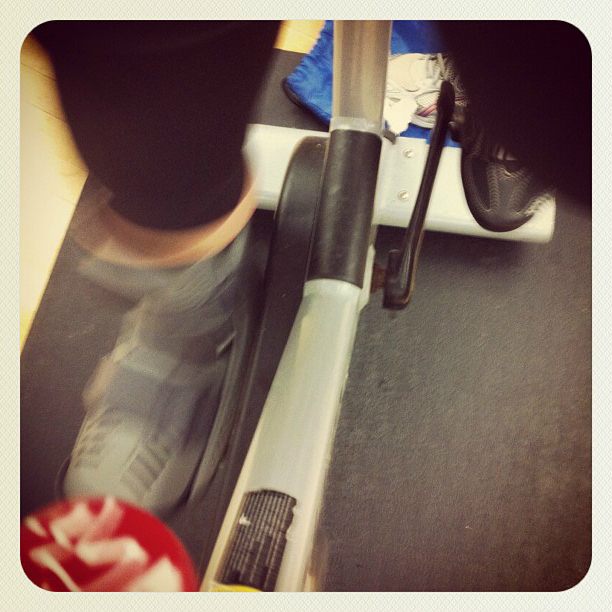 I realized that I do use my upstroke on the bike… because several times, I would pull my right foot up, off the pedal, and Wilson would go wild, flying to the right. To say that I am completely “okay” with the current state of my triathlon affairs would be a complete lie. But I can say: I am right where I am supposed to be. Everything happens for a reason. This time has given me a chance to really reflect on my diet and not worry about fueling for a 60 mile bike ride during the New Orleans ramp up. I am sidelined, so I have had time to regroup. So….I am on Day 5 of a vegan, sugar-free, processed-free, alcohol-free (and yes, FUN-free) diet. But I feel a-maz-ing. My allergies are at bay. I’m down four pounds out of the gate. 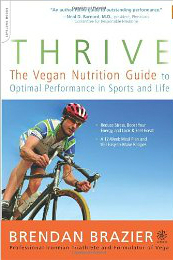 I am up to my elbows in the book, Thrive: The Vegan Nutrition Guide to Optimal Performance in Sports and Life, by Brendan Brazier (founder of Vega products). Highly recommend even for those not considering the vegan lifestyle, because of the first three chapters on stress and foods. I also have a copy of Overcoming Overeating: How to Break the Diet/Binge Cycle on my bedside table. That’s on deck. Maybe I was always to embarrassed to admit that the eating cycles I have been spinning through…were REAL problems. Maybe I never realized that stuffing five cupcakes in my mouth is not so much a loss of self-control or utter laziness, but more of an attempt at band-aiding my feelings, my emotions, my words. And maybe some plain and simple rebellion. I woke up at 4:15. I went to spin. I did not drive through Einstein Bros. after class, but I had an apple, banana and protein shake for breakfast. For lunch, I had lentils and rice (toot alert! toot alert!). And for dinner… I am not going to blow out the usual Friday celebration. It’s just a Friday, afterall. As my friend, Holly says: Every step is a good step. I’ll just keep stepping forward. And spinning around in the right direction. Tri Kits Available for Order until April 6th.